A journalism professor called the decision to publish the op-ed "journalistic malpractice"
President Donald Trump speaks at a rally in Council Bluffs, Iowa, Tuesday, Oct. 9, 2018. 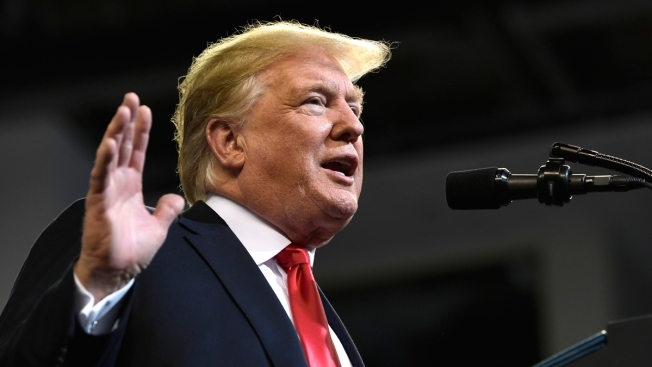 USA Today is being criticized for publishing an op-ed Wednesday from President Donald Trump with factual inaccuracies that go unchallenged. The opinion piece claims that a push by some Democrats for "Medicare for All" would hurt seniors and effectively eliminate the Medicare program, which provides healthcare to Americans older than 65 and those with disabilities. "How can @usatoday allow Trump tp [sic] publish an article with documented falsehoods?" tweeted Glenn Kessler, who writes the "Fact Checker" blog for The Washington Post. Others pointed out that the op-ed contains links that include information directly refuting the op-ed's claims, NBC News reported. Journalism professor Dan Gillmor called the decision to publish the op-ed "journalistic malpractice." Senate Minority Leader Chuck Schumer tweeted out a version of the op-ed with "false and misleading" parts marked up with red ink. USA Today's standards editor did not respond to requests for comment by NBC News.